CCgroup helped raise awareness of Comarch’s Financial Services Division in the UK among the banking community and delivered a raft of sales leads that resulted in significant new business wins. Comarch’s financial services division was famous across Europe and beyond, but relatively unknown in the UK; CCgroup was tasked with raising awareness and generating sales leads. Comarch specialises in providing technology software for the banking sector among others and works with major financial institutions across the globe. Comarch’s Financial Services division in the UK was established in late 2012. The division needed CCgroup to support the business in three ways. Firstly, generate sales enquiries for Comarch’s corporate banking proposition. Secondly, highlight customer demand for specialist corporate banking services (Comarch’s USP) to support its existing sales pipeline. And finally, raise awareness of Comarch’s Financial Services division in the UK among the banking community. CCgroup recommended surveying Tech City execs on whether their business growth ambitions were being supported by existing corporate banking services. 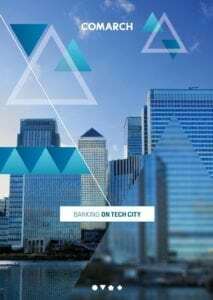 Tech City in London is being promoted as the heart of the UK tech sector. The question we sought to answer was: are the corporate heavyweights of the future getting the level of service they need from their banks today? CCgroup worked with market research company Opinion Matters to survey Tech City executives and developed a report that identified specialist corporate banking services as a major growth inhibitor. CCgroup drafted and distributed press and sales materials across earned (media), owned (Comarch website, direct marketing) and paid content (media partnership with Banking Technology) platforms. The campaign significantly raised the awareness of Comarch’s Financial Services division in the UK. Of the 15 influential UK and pan-European banking publications that influence decision-makers, CCgroup secured coverage with 12 (as well as national publications such as the Daily Mail). The research also proved high growth businesses needed the specialist corporate banking services that Comarch provides. As a result, the coverage was ‘on-message’ by highlighting clear business demand. Sales leads however were the primary aim of the campaign and results exceeded expectations. The campaign helped deliver more than 25 sales enquiries.